It’s almost automatic. 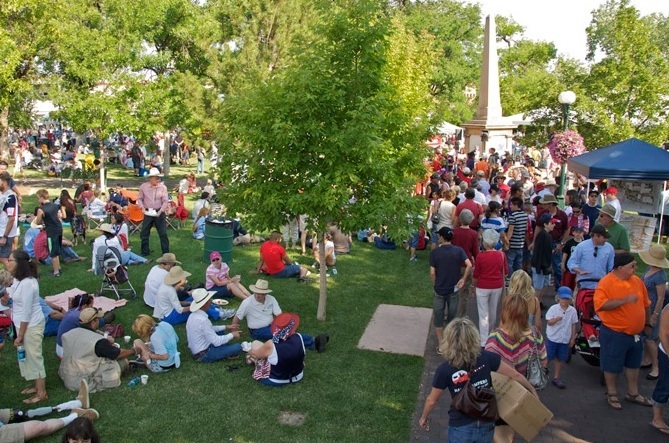 When locals think Fourth of July in Santa Fe, Pancakes on the Plaza comes to mind. From the deliciousness of the pancakes to the cool cars on display … from the toe-tapping music to the unique art show, Pancakes on the Plaza has something for everyone. And as it brings the communities of Santa Fe and Northern New Mexico together to celebrate our nation’s birthday, the proceeds generated from Pancakes on the Plaza make a big difference in the lives of people in need. Now in its 38th year, Pancakes on the Plaza continues to be one of Santa Fe’s favorite yearly events, drawing large numbers of locals. As event partners, The Rotary Club of Santa Fe proudly carries on this tradition — donating significant time and volunteer resources to ensure success. Proceeds from the event are given to not-for-profit organizations that meet Rotary criteria.